Lexus has released new details about the Euro-spec RX. Set to debut at the Frankfurt Motor Show on September 15th, the Euro-spec model will be offered with a hybridized 3.5-liter V6 engine that develops 313 PS (230 kW). It will enable the crossover to return 5.2 L/100 km with CO2 emissions as low as 120 g/km. Certain European markets will also receive variants with a turbocharged 2.0-liter four-cylinder engine and a 3.5-liter V6 engine. There's no word on specifications but the entry-level engine should produce 245 PS (180 kW) and 350 Nm (258 lb-ft) of torque, while the V6 should have approximately 300 PS (220 kW) and 361 Nm (267 lb-ft) of torque. The Euro-spec model will also be offered with a heads-up display, a wireless smartphone charger and a "smart" power tailgate. Other highlights include a Panoramic View Monitor and a Lexus Premium Navigation system with a 12.3-inch display. 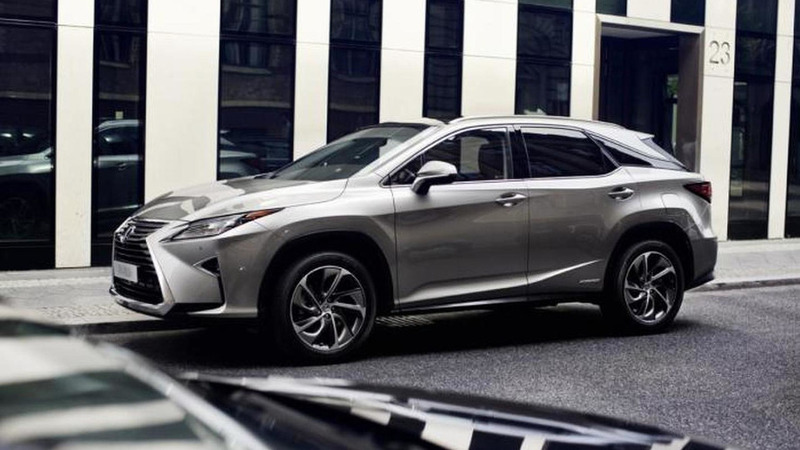 The 2016 Lexus RX will go into production later this month and the first European deliveries are slated to occur before the end of the year.